The iconic Spanish City has returned to rekindle its love affair with the residents and visitors of Whitley Bay. 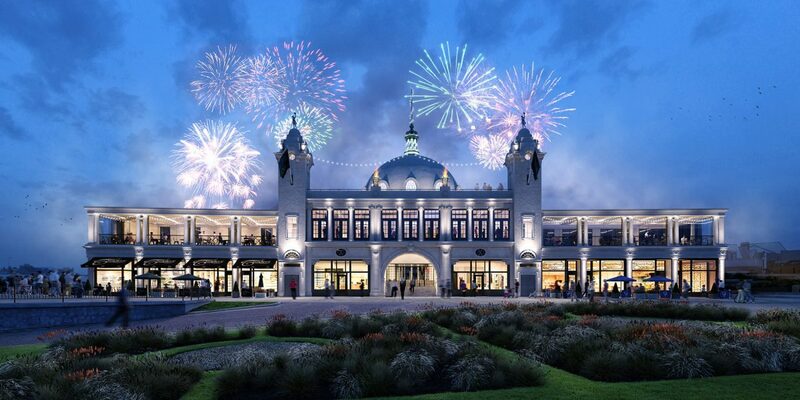 Spanish City will host everything from Christmas markets and special interest exhibitions, birthday parties and spectacular weddings, whilst family-friendly venues, a a high-quality steak and seafood restaurant, tearooms, event spaces and a champagne bar take permanent homes inside. Work undertaken has included the restoration and repair of many previously lost original features and the addition of modern spaces, a new car park and refurbishment of the famous ‘dancing ladies’. 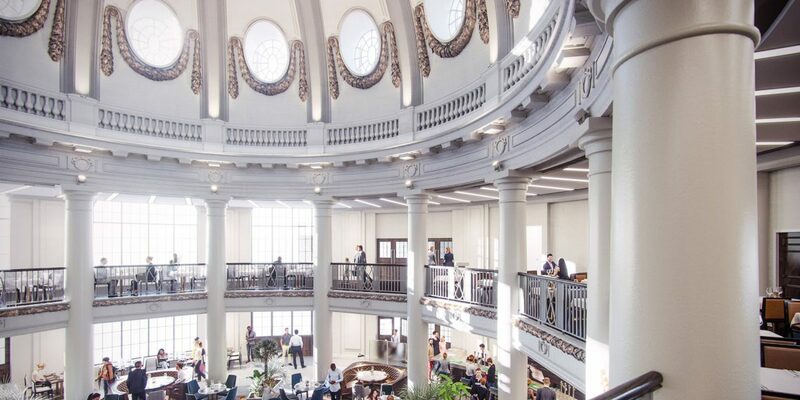 The ceiling of the central space has also been removed from the ground floor, allowing visitors to see the dome in all its glory from inside for the first time in over 100 years, whilst railings in the buildings original style have been reinstated on the surrounding gallery. Seaward-facing full height windows have been fitted in keeping with the original Spanish City, revealing incredible views of the coast and St Mary’s Island. We pledge to ensure that the heritage and prestige of the iconic Spanish City are maintained, whilst breathing new life into the venue and supporting the regional and local economy. Spanish City will once again be an integral hub within Whitley Bay and surrounding coastal communities.